As a guy who grew up watching Christopher Reeve and Dean Cain fly through the air as Superman, I was excited to see the new Man of Steel that was released Friday. Fans of Superman will love the film. The film has been ridiculed for the seemingly extra 45 minutes of excess explosions — of which I can't disagree. But all in all, the film is better than any previous Superman and places the franchise firmly in same line with other great superhero films of the last few years. Aside from all the lengthly explosions, there's a real story that sticks with how Superman was originally conceived. We learn the "Man of Steel" was born on Krypton to Jor-El (Russell Crowe), has an adoptive earthly dad (Kevin Costner), and must save the planet all while figuring out whether to use the gifts he has to help people or not. When I watched the previous Superman movies, I was not a father myself. Now that I'm a dad, I watched Man of Steel through the eyes of Jor-El and Jonathan Clark. Watching as a dad, I was reminded of two things. 1) Great Fathers Guide Their Kids. Throughout the film, Superman has flashbacks to Smallville, Kansas and in doing so, he finds his true self. Meanwhile, the audience gathers information to aid in understanding the depth of his “Man of Steel” character. We watch as Clark finds his “Fortress of Solitude”. It is there he finds his suit and learns the crest on the suit is a symbol of hope. In this same scene, Jor-El explains exactly how Clark has been given certain powers. It is only after this moment that Clark begins to push his own limits—eventually learning to fly. Without such guiding from Jor-El, it's debatable that Superman would ever learn to fly, literally and figuratively. 2) Great Fathers Put Their Kids First. Superman had a great biological father in Jor-El and a great adoptive father in Jonathan Kent. Superman/Clark Kent struggles to live as a human/super-human throughout the film. This tension unfolds in the two fatherly relationships of the film. With Jor-El, the idea of living and using super powers is a given. In stark contrast, Jonathan struggles to keep his son's powers from the scrutiny of public for fear of misunderstanding or unneeded attention. Living in that tension between being human and super-human is where Man of Steel wins. In the end, Man of Steel depicts a man whose biological father and adoptive father sacrifice themselves to save their son. It's a film that depicts sacrificial love and selflessness as the true nature of fatherhood, making it a movie worth watching...dare I say...a "symbol of hope" for our generation. 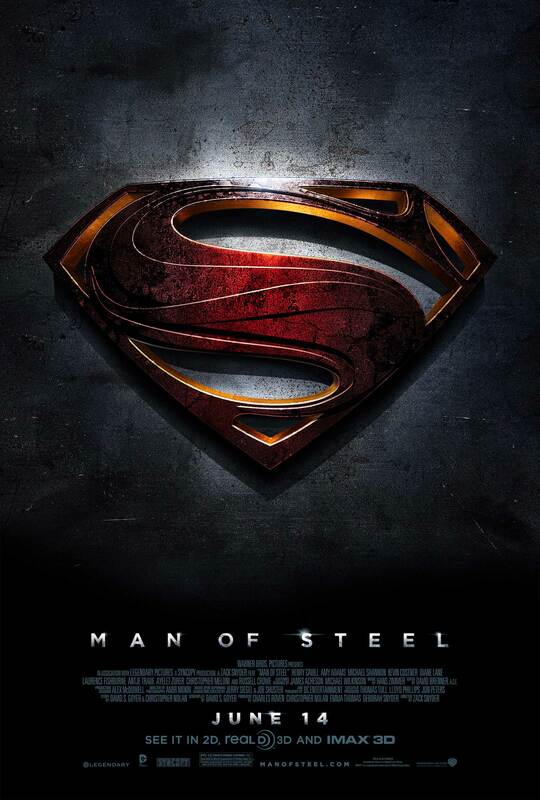 “Man of Steel" is rated PG-13 (Parents strongly cautioned).